I love this door and peeking through would love to explore the interior. Does anyone know where this image came from? 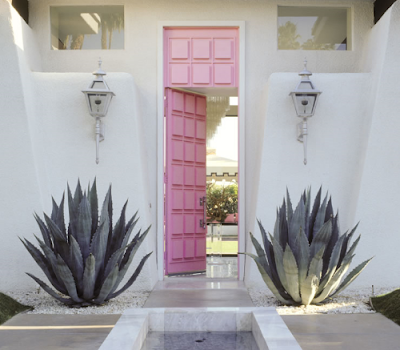 What a cute door- a great shade of pink! So happy to find your blog!!! I met you last year in LA and see you all the time when you are a guest at different shows. love the blog! Click on Portfolio then the Palm Springs home.